Josie can be a good assistant once in a while. 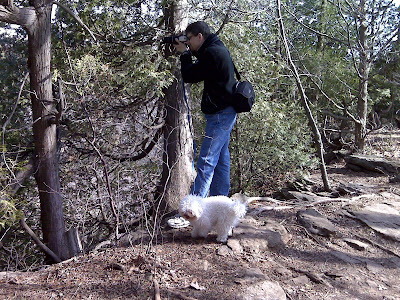 Here was Josie helping to take some artistic photos of nature. She kept telling him there was better scenery other yonder.